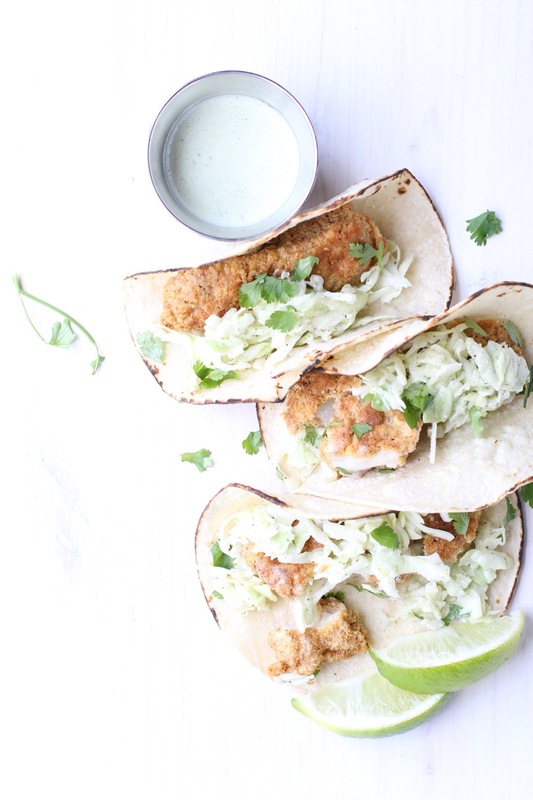 Cornmeal-crusted and baked to perfection, these crispy fish tacos satisfy a craving for crunchy fish tacos with all the flavor – no deep-frying needed! Crispy fish tacos are the best fish tacos! Don’t get me wrong. I love grilled fish tacos and gourmet ones with special sauces and such. But, there’s something about a fried fish taco that lets me keep one hand in South Carolina while the other explores my love for Mexican food. 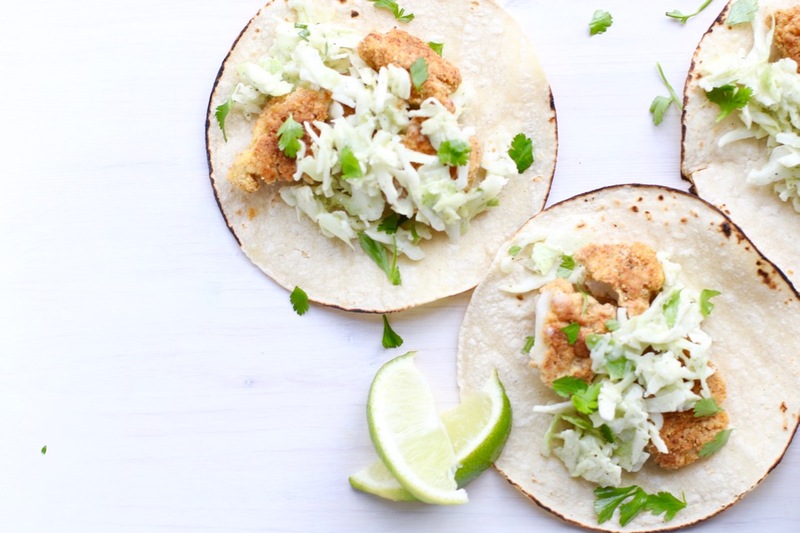 These Crispy Cod Tacos with Honey-Lime Cilantro Slaw do both! This month’s recipe redux challenge is to make something for Taco Tuesday. If you know me at all, you know that one of my favorite things in the entire world is a good fried fish taco. When I get a hankering for one, I head to a local spot, Taqueria del Sol. They coat pieces of fish in corn masa and deep fry it. The hot fish is cradled in a soft corn tortilla with pickled jalapeno peppers and a poblano tartar sauce. 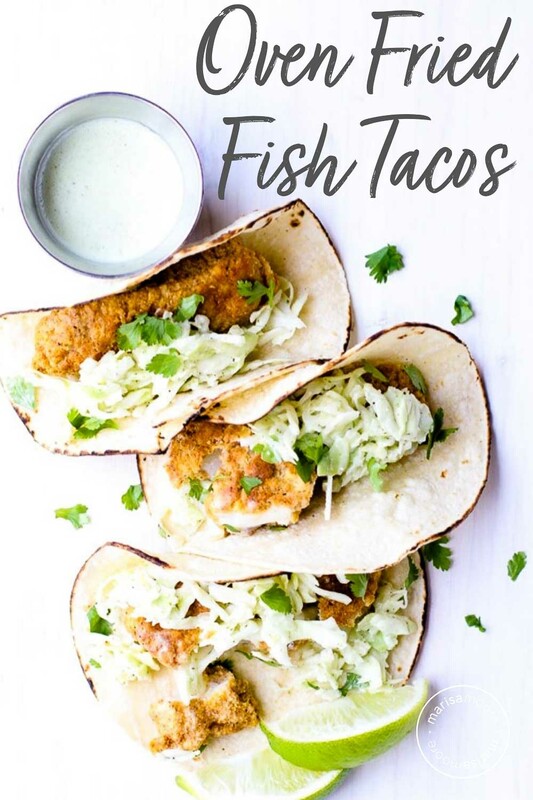 Now, these aren’t those, but they are deliciously crunchy and flavorful – which can be hard to get in a non-deep fried fish taco. Being from the south, when it came time to make this recipe, I knew I’d have to go with a cornmeal breading. I grew up eating fried fish almost every Friday. If my grandpa didn’t catch and fry it at home, we’d get it from the only fishmonger (and seafood restaurant) in town. They always used cornmeal for frying and the fish was usually whole. The crunch you get from cornmeal is hard to beat. It works especially well in this baked version. Cod is a firm fish that lets the other flavors shine. It’s also affordable. My favorite at the moment is the wild-caught Alaskan cod from Target’s Simply Balanced line. I further lightened the tacos and added a bit more protein by swapping plain Greek yogurt for sour cream in the honey-lime cilantro slaw. 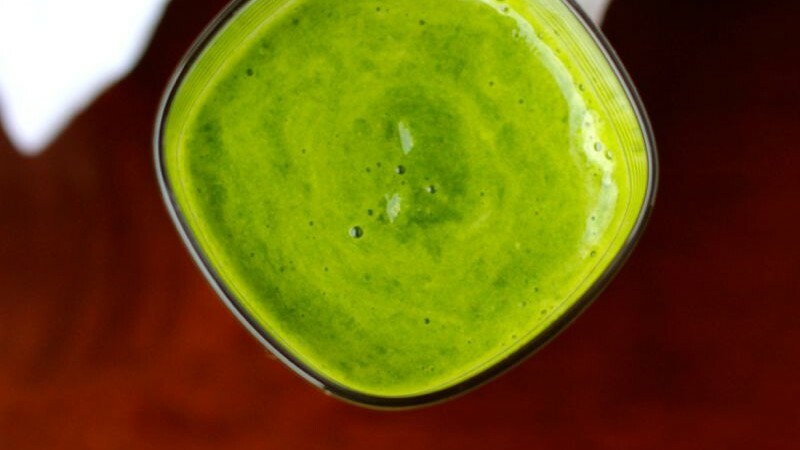 Plenty of lime juice, garlic, and fresh cilantro help pump up the flavor. I used white corn tortillas since I don’t personally like flour ones. But nowadays there are tortillas made from all kinds of flours from chickpeas to almond flour and coconut flour. I haven’t had a chance to try them all yet and tend to default to the corn tortillas at Trader Joe’s. Before you head out, please tell me where on earth you’ve had the best fish tacos. I will be adding it to my list! And be sure to check out the recipe redux link at the bottom for more healthy taco recipes over the next couple of days. 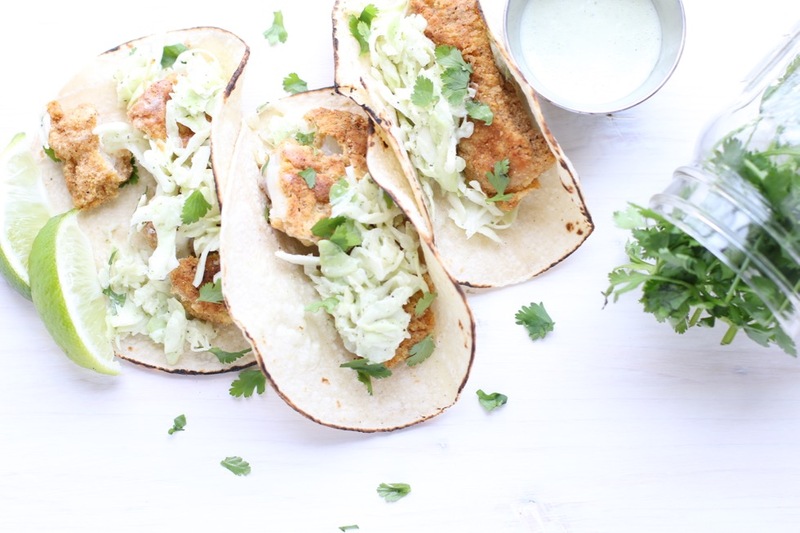 Cornmeal-crusted and baked to perfection, these crispy fish tacos satisfy a craving for crunchy fish tacos with all the flavor - no deep-frying needed! Fish Tacos: Preheat oven to 425°F. Lightly spray a sheet pan with oil or cooking spray. Set aside. 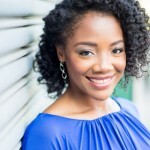 In a shallow pan, stir the cornmeal and spices with a fork until blended. In a small bowl, whisk water and egg together. Pat the fish dry. Dip fish strips in the egg wash then the cornmeal mix. Press firmly to get it to stick. Add the fish strips to the prepared pan. Lightly mist the fish with cooking spray. Bake 10 minutes. While the fish bakes, make the slaw. Honey Lime Cilantro Slaw: Add all ingredients except cabbage to a blender. Puree until smooth. Add salt to taste. In a medium bowl, toss the sauce and cabbage. Heat the tortillas in a dry skillet or get a slight char (as I have) by carefully heating them over an open flame using tongs. Add 1-2 fish strips to each tortilla. Top with the slaw, more lime juice, and sprinkle with fresh chopped cilantro.